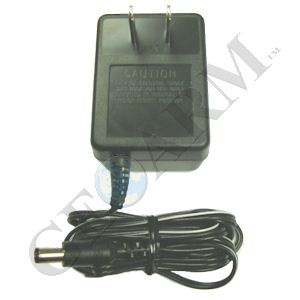 The Honeywell K0991 is a 5VDC plug-in power transformer designed to work with the Honeywell 5828 Honeywell wireless alarm keypad or the 5828V Honeywell wireless talking alarm keypad. Without the K0991 AC transformer, the 5828 and 5828V alarm keypads will go into sleep mode after a period of inactivity. The K0991 prevents the wireless Honeywell alarm keypads from going to sleep mode so have always-on functionality.